Harrison Ford, the original Han Solo in the Star Wars film franchise, broke his ankle Thursday while filming a scene in the series’ reboot. He’ll be off the set of “Star Wars: Episode VII” for 6-7 weeks until his ankle heals. 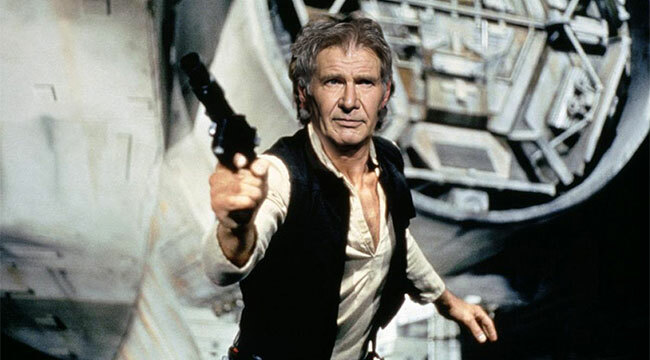 Ford, 71, is reprising his role as Han Solo in the movie. As all things are not magical in filmmaking, a hydraulic door fell off the iconic Millenium Falcon spaceship while he was stepping from it. The injury was serious enough that Ford was air lifted from the set to a local hospital in Oxford, England. The ankle may require surgery to fixate the bones with a plate and screws. ***Yes, we noticed that too – he was airlifted to a hospital for an ankle injury – but YOU never helped save the entire universe, and he did! You’re not a famous Hollywood actor with a helicopter at your disposal, but your broken ankle needs treatment, too. A broken ankle, also known as an ankle fracture, can range in seriousness from a hairline fracture in one bone, to multiple fractures which make the ankle very unstable. In addition to the broken bones, soft tissue is usually damaged as well, most commonly the ligaments which hold the ankle bones in position. In Ford’s case, his broken ankle was caused by trauma, but an ankle can also break after a sudden, forceful twisting, rolling, or by tripping or falling. The ankle is a very complex anatomical structure with many parts and a break in one of the bones poses risk to others. If you suffered a broken ankle, you may feel immediate and severe pain, swelling, bruising, an inability to move your toes or bear weight, and/or a cold or blue foot. Treatment by your podiatrist may include splinting the broken ankle, immobilization with a cast or walking boot, crutches, or surgical realignment of the bones if necessary. Physical therapy is always recommended to strengthen the muscles and the bones after the injury heals. We’re excited about this movie, because Ford’s original Star Wars cohorts are in this one as well: Carrie Fisher (Princess Leia), Mark Hamill (Luke Skywalker), Anthony Daniels (C-3PO), Peter Mayhew (Chewbacca), and Kenny Baker (R2-D2). 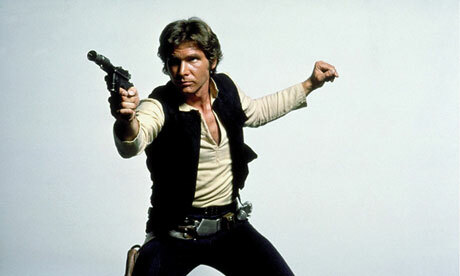 “Episode VII,” the first installment of a brand new “Star Wars” trilogy, is scheduled to be in theaters Christmas, 2015.